If you caught the two episodes of Idol that aired this week, then you’re already familiar with who the top 24 are. Fox released some details about the contestants, including the social-networking sites for each of them. Here are the top twelve female contestants, along with some information on them, including how you can get to know them a bit better. Female singers scheduled to perform Tuesday, Feb. 23 (8:00-10:00 PM ET live/PT tape-delayed). Click here for the top 12 male contestants for season nine of American Idol! Benami’s mother inspired her passion for music by singing to her when she was a little girl. She is currently pursuing a career in music in Los Angeles while learning to play the guitar and writing songs. Brown began singing when she was 12 years old at churches and holiday parties. Before auditioning for IDOL, she was teaching classes at her parents’ church in Amarillo, TX. 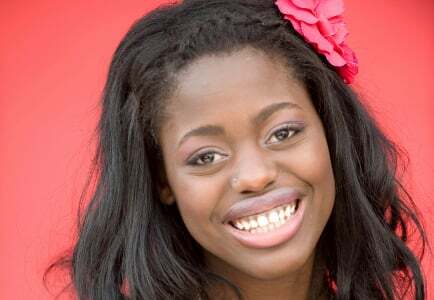 Delamor was born in Miami, FL, and began singing at age 5 in church. Prior to her IDOL experience, Delamor was working in retail and conducting a children’s choir. Wheeler began singing and songwriting in second grade. She graduated from the University of Florida at Gainesville in 2008 with a bachelor’s degree in theatre. She also enjoys playing the guitar and writing music.